On June 28, 2011 the collection of “Consultation Books for Experts” will be launched. 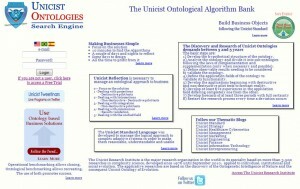 It includes an integration of the e-books that are part of the Unicist Ontologies Search Engine in order to give access to all those professionals who need to work off-line. This launching is part of the new stage of global expansion. 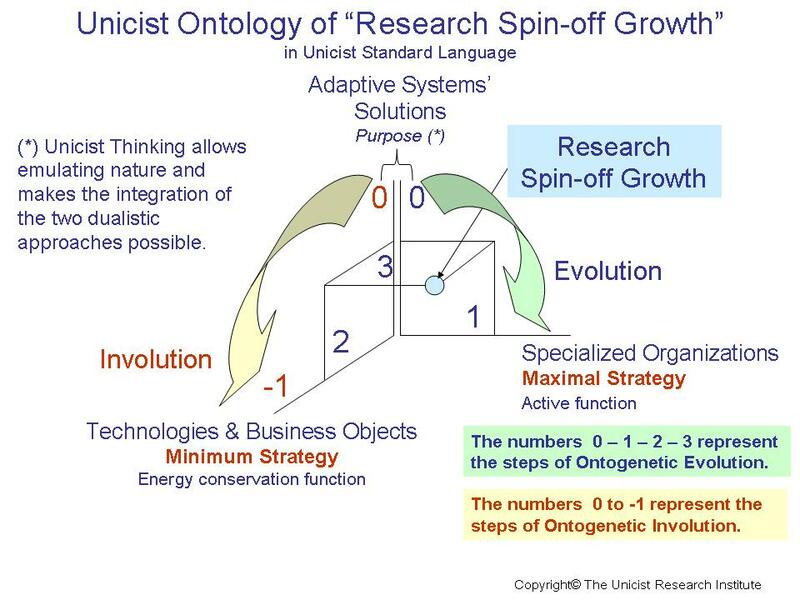 This growth stage that began in June implies the expansion of the activity of the Unicist Confederation based on “Research & Developments Spin-offs”. 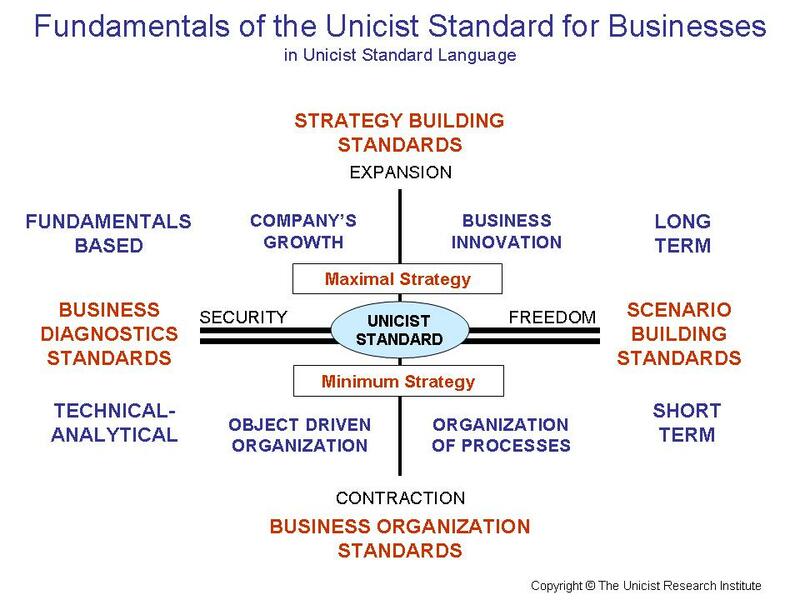 This model requires the building of specialized business units within existing organizations who invest in the business to deal with some of the technologies or business objects developed at The Unicist Research Institute. This spin-off model is focused on the use of technologies and objects that solve problems of the adaptive aspects of businesses. 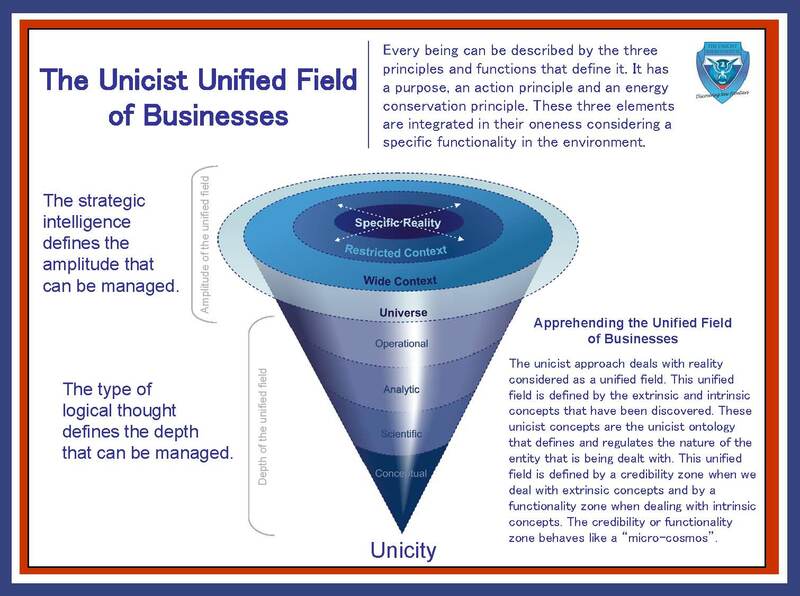 Basically, the fields of specialization are defined by the Unicist Business Objects developed. 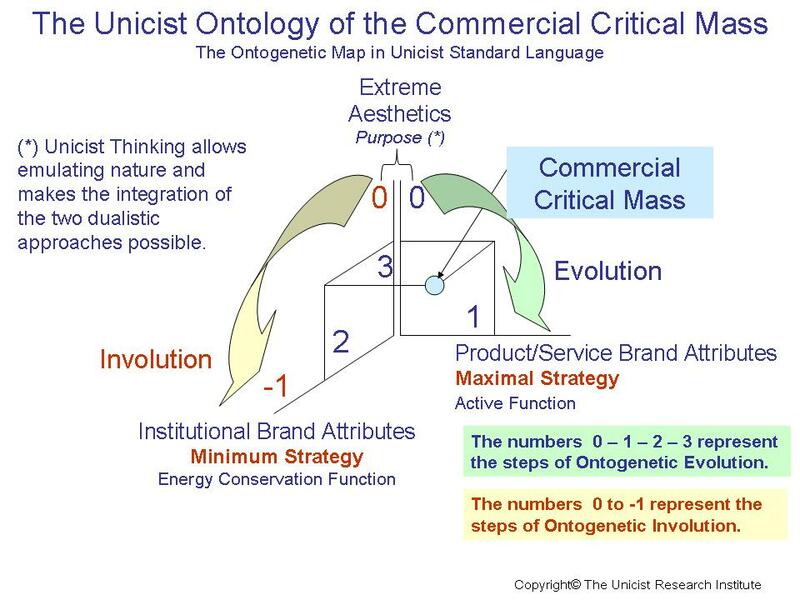 It includes, in some cases, the development of Business Diagnoses and Strategies in the markets in which the ontological knowledge is available. 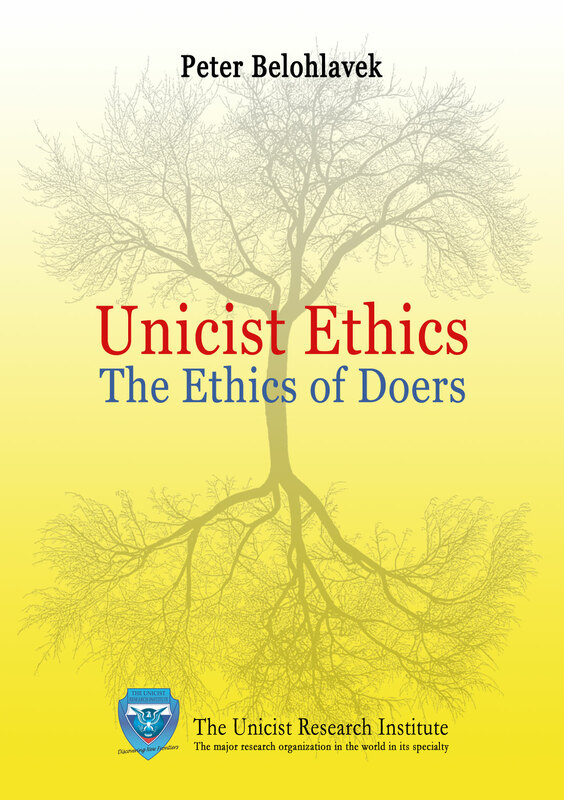 The Unicist Object Driven Organization described by Peter Belohlavek is a breakthrough that emulates the organization of nature. 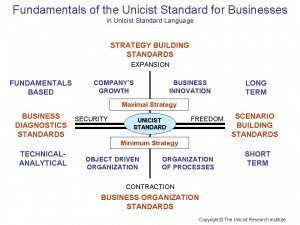 It integrates business objects into the business processes to increase their effectiveness. The organization by objects allows on one hand the saving of energy and, on the other hand, it provides the necessary structure to be able to integrate efficacy with efficiency increasing notoriously the results obtained. 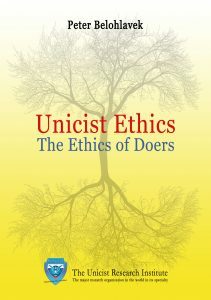 Businesses require a very special use of ethical intelligence. On the one hand, there is a need to build complementarity with the clients in order to establish stable relationships. On the other hand, there is an implicit or explicit confrontation with the competitors which means a sort of war. Diplomacy, implying “war in peace”, is a necessary activity to manage businesses. It allows preparing the context to build complementarity with potential clients and to avoid explicit confrontations with competitors.  Ethical intelligence defines the level individuals are able to fly. 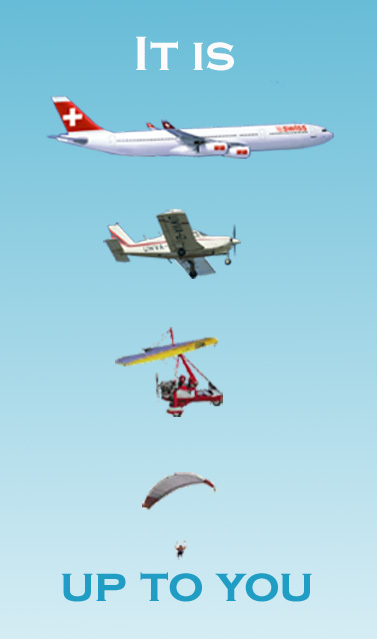 1) Solopreneurs are “parachuters” that can only deal with punctual opportunities and then need to get on board of another’s airplane to make the next jump. 2) Small entrepreneurs can only deal with niche markets and cannot grow because they need to “feel” that “they” are flying the airplane. 3) Entrepreneurs can deal with markets because they accept the existence of co-pilots and passengers.  4) Enterpriser can manage global markets using the necessary technology to have a safe flight. Their main concerns are the comfort of their passengers and the fulfillment of the goals. The level individuals are able to fly is inversely proportional to the needs of their ego. The lower people fly, the more they need to be right. Innovative products or services are those that are beyond the existing boundaries of a prospect. They cannot be bought; all what is outside the boundaries of a person can be admired but can only be bought after the person included it into its area of comfort or safety. To sell innovative products or services it is necessary to evaluate if the time is given to launch a fluent expanding business. Innovations need to have objective and subjective added value for the buyers and, by definition, they need to have a superior functionality or provide more power to the buyers. 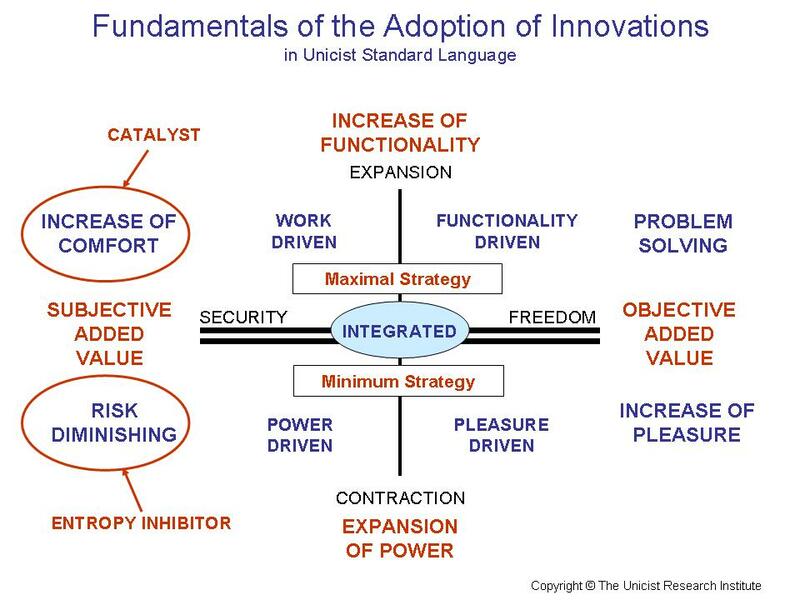 The adoption of innovations requires that the products or services need to provide some of these alternatives: more pleasure, more power, easier work or more functionality. 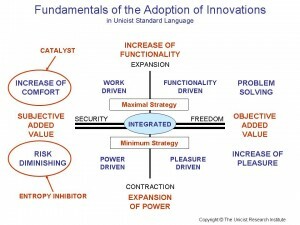 Optimal innovations integrate all the aspects. Inventions, new design or discoveries need to be confronted with this analysis before defining if they will be launched or not. If the moment hasn’t come, there is a possibility that an innovation works as a catalyst for other products. In this case it is not a business in itself but sustains other businesses. 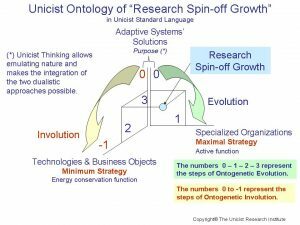 We strongly recommend making a comparative analysis between the researches developed at The Unicist Research Institute and other Research Institutes that are notoriously active in the field of complexity sciences. 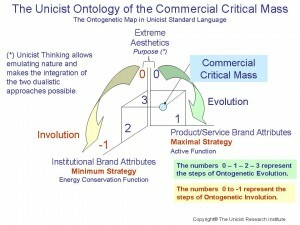 The introduction of the Unicist Standard in Global Corporations requires a sound knowledge of its ontological foundations and of the succedaneum technologies proposed by other research organizations. 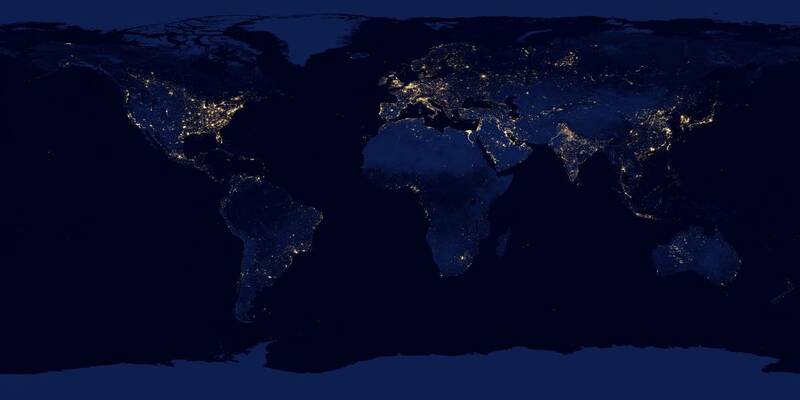 As we are at the leading edge in the field of applied research to manage human adaptive system, it becomes absolutely necessary to know the alternatives that are available in the world. Human miracles occur when an extraordinary achievement has been accomplished by a man or a woman. A miracle can be defined as: an unexpected event manifesting a supernatural act of a divine agent. 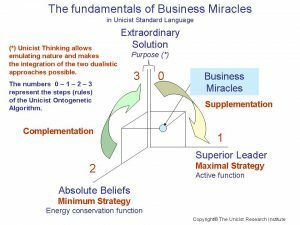 Business miracles are in fact unexpected turning points in a business producing extremely desired and necessary results. 1) There is a “crowd” (group) with extreme needs. 2) There is a spontaneous massive behavior of the crowd (group). They behave as a mass of believers in something or someone. 3) The solution is implicit in the crowd’s behavior. 4) There is a leader who is able to discover the solution in the crowd’s behavior and make it happen. The leaders appear as magical, but in fact their magic is their extreme ethical behavior that allows them understanding the needs, read the solution and make it happen. 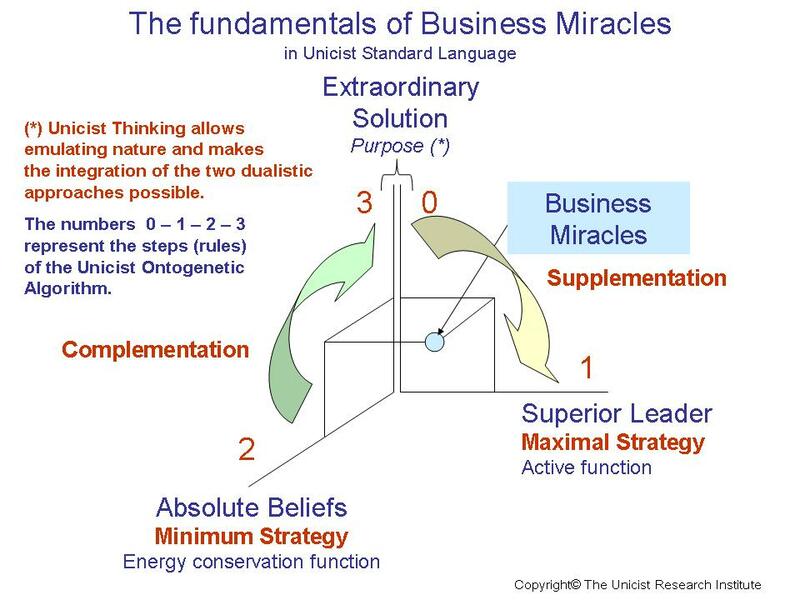 Individualism, rationalism and human complexes are the main inhibitors of business miracles. An example of a business miracle is Apple after the return of Steve Jobs in 1997.